The RBA’s admission that rate hikes are off the table is good, but I’m still not sure they get it. So the RBA rolled over like a good little puppy dog last week. 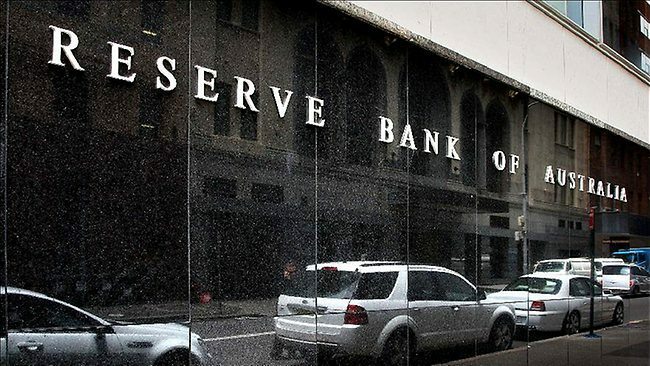 For a long while the RBA has been running with the line that the next move in interest rates would be up. Last week, they gave it up. They resigned themselves to a ‘neutral stance’, arguing that they had no inclination to either hike rates or cut them. And wasn’t the media shocked. SHOCKED! But not my readers. Way back in May last year I was saying that there was no way the next move would be up. Over on sportsbet.com.au, you can bet whether the next interest rate move will be up or down. Bloomberg does a survey of market economists (guys working for the banks and hedge funds etc.) every month. Back in May last year, literally every one of them said the next move in rates would be up. And literally every one of them was wrong. As Phil Lowe notes, the outlook for the Australian economy is still strong. The Australian economy is benefiting from strong growth in infrastructure investment and an upswing in other areas of investment. The labour market is also strong, with many people finding jobs. This is the inflation forecast. 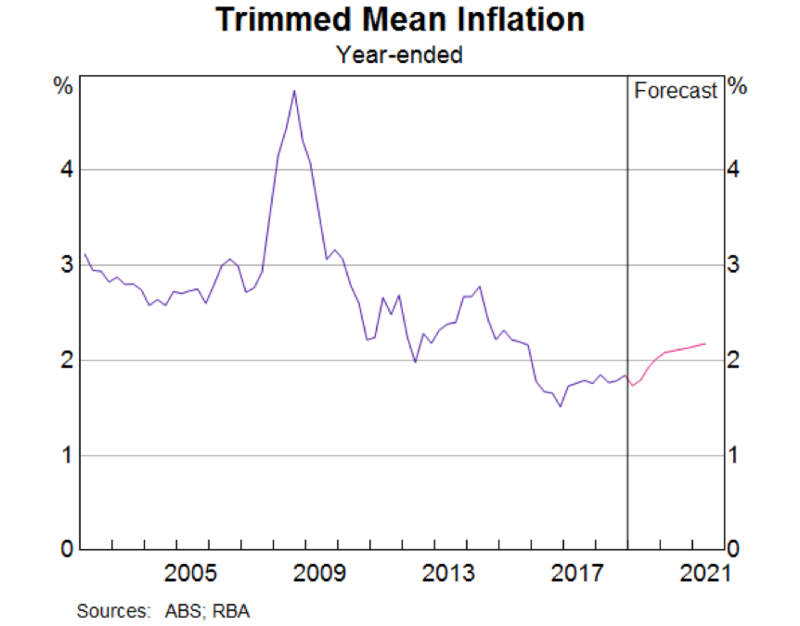 Remember that the RBA is an inflation-targeting central bank, so their job is to keep inflation within a certain band. Right now, we’re below that. And we’ll stay below that for another year, but then if things go well, we’ll stick our noses just above the line in 2020. … if things go well. And this is their ‘trimmed mean’ measure, which does a few calculations to the raw numbers. The raw numbers are worse. So what we have here is an inflation-targeting bank missing its target, year after year after year. What we have is an inflation-targeting bank just managing to scrape in to its target band if things go well… and missing hopelessly if they don’t. And what we have is an economy that is simply unable to generate inflation, no matter what the RBA is doing. And this is the secret the RBA boffins don’t want you to know. Their models are broken. The world has changed. The old rules no longer apply. It used to be the case that super-low interest rates would generate inflation. That is simply just not the case any more. Because what we are seeing is massive changes to the structure of our economies. Technology is advancing at an incredibly clip. China and India et al. and exporting massive amounts of cheap stuff, and with it cheaper prices and wage deflation. At the same time, advanced economies have become dependent on high-end services, where firms are lucky to last 6 months before competitors start encroaching on their turf. In this context, prices just can’t get up off the floor, and the RBA’s hopes of hiking rates are nothing but a pipe dream. The deflation genie is out of the box, and as it has become increasingly clear, central banks just can’t do anything to stop it. I saw the writing on the wall years ago. Now, it seems, the RBA is catching up.